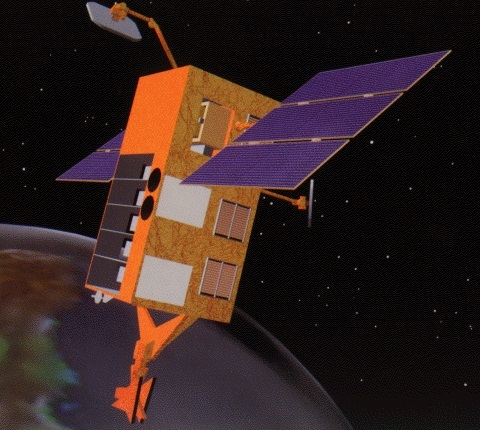 The 3,200-Kilogram RXTE observatory launched atop a Delta II rocket on December 30, 1995 to put to use a suite of three instruments: an All Sky Monitor built around Xenon proportional counter to collect data over 80% of the sky on each orbit around Earth; an Proportional Counter Array offered a large collecting area and energy resolution by combining five proportional counters; and the High Energy X-Ray Timing Experiment to collect high-speed background measurements at a time resolution of eight milliseconds. RXTE was built for a design life of two years with a stretch goal of five years, but ended up operating for 16 years until January 2012 when the spacecraft was commissioned. The observatory operated from an orbit of 565 by 585 Kilometers, inclined 23° from which it slowly spiraled down toward the dense atmosphere, culminating in re-entry on April 30, 2018.